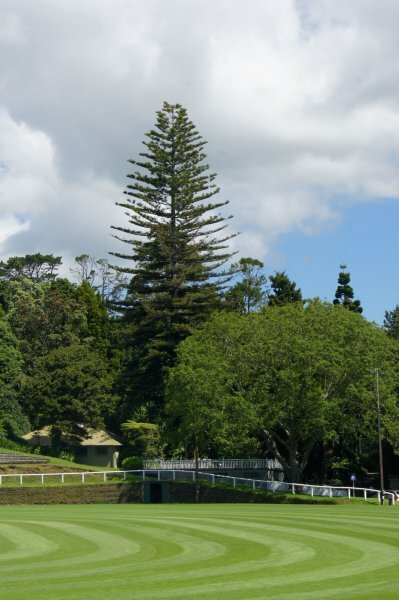 An impressive Norfolk Island pine specimen, located at the southern end of the sports-ground at Pukekura Park. The tree is regularly decorated as a Christmas tree for the summer Festival of the Lights at the park (Smillie, 2012). 27 Jan 2012 Smillie, M.J. Located at the southern end of the sports-ground, between the car park and the ground staff facilities.